Hey lovelies, I thought I’d show you around one of my eyeshadow palettes today. I have a magnetic palette from MAC which I have filled with my depotted and pan form MAC and Makeup Geek eyeshadows. I love seeing what other people have in their custom palettes so hopefully you guys enjoy reading this post as much as I enjoy peeking inside your palettes! I love warm toned eyeshadows and I also love plum and purple shades too but generally I’m a fairly neutral gal so without further ado, starting with the top row from left to right.. Some of the Mac shadows are limited edition so if you can’t find something on Mac’s website then thats probably why (I’m sorry! ), but most things I think are still available! In this palette I also keep my Mac ‘Emphasise’ powder which I use to set my concealer under my eyes sometimes, and also a powder foundation from Stila that makes a nice natural bronzer on my pale skin. Some of my favourite shades that I own here are Bitten from makeup geek as its such a pretty burnt red colour, I’m going to have so much fun creating autumnal looks with this! I also really like Club from Mac as it is a duo chrome, meaning it looks green in some lights and brown in others. 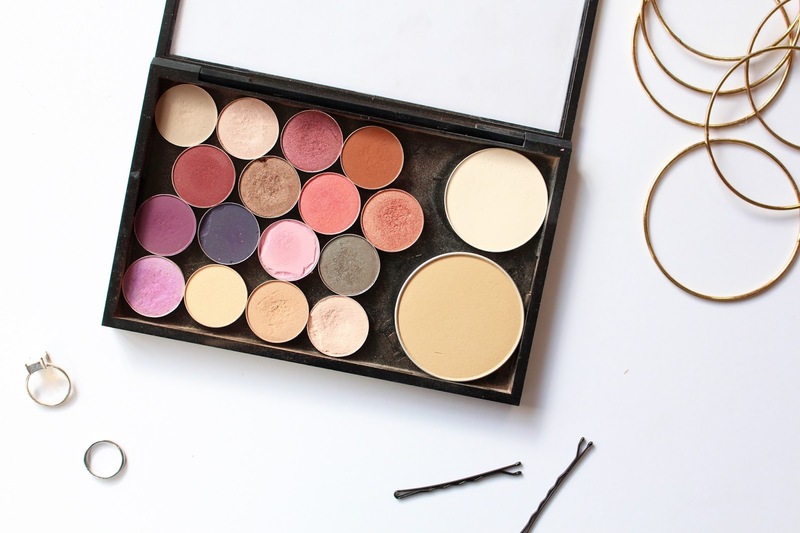 It adds a little something different to your typical neutral, smokey eye. 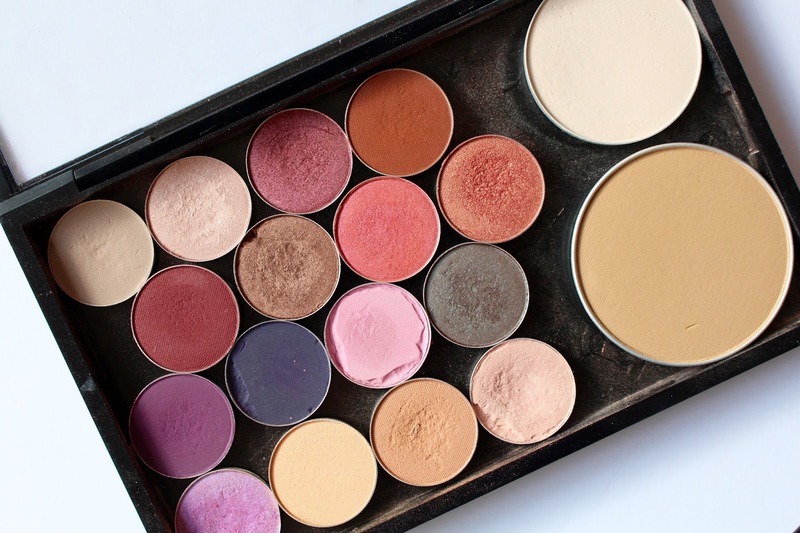 I love both Makeup Geek and Mac shadows and would definitely say they’re on par with each other in terms of quality, MUG is more affordable and they have loads of dupes for Mac eyeshadows too! 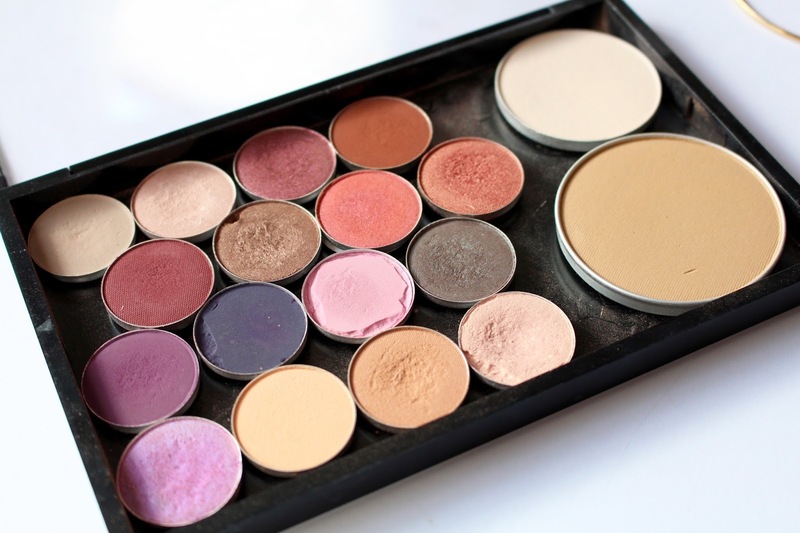 I hope you enjoyed seeing whats in my palette, please let me know what your favourite eyeshadow is!